As you may know, Coca-Cola is a combination of Coca leaves from Peru, Cola nuts from Africa, water, high-fructose corn syrup, phosphoric acid, caffeine, and caramel color. 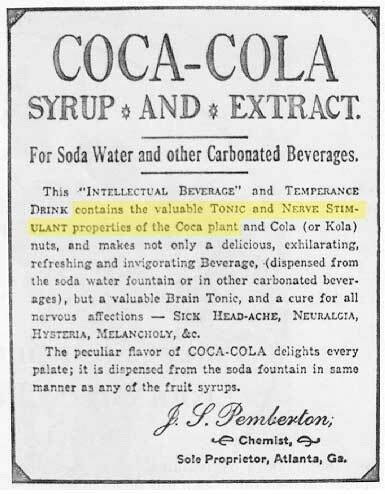 BUT, actual cocaine was removed from Coca-Cola at the turn of the 20th Century. Now, C-C uses a boiled down version of coca leaves to keep the coca flavor consistent. How does this topic relate to media nerdiness? Let me share. In the beginning, when J.L. 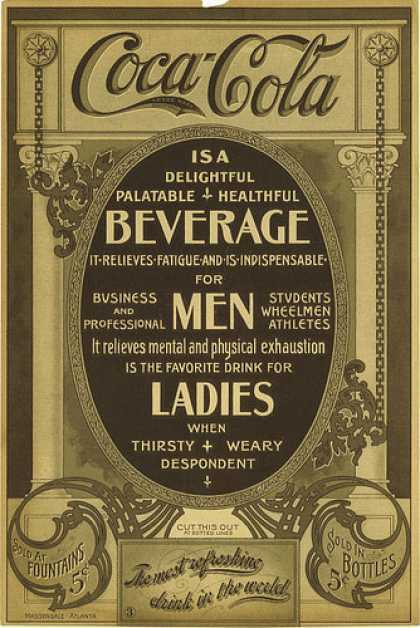 Pemberton, a chemist, created C-C, he had various ads developed. They read like snake-oil salesmen jargon, don’t they? Well, the amazing thing is that these properties do exist in the beverage because coca leaves are used currently in Peru for these kinds of ailments. There are piles of coca leaves once you arrive at the Cusco airport, available for anyone needing immediate altitude sickness relief. Unbeknownst to me at the time, I didn’t partake, until the hotel we were at handed us a cup full of hot water with some leaves steeping in it. Let me tell you that I believe this single plant helped get me through my entire trek of the Incan Trail (ok, my friend Troy also offered motivation, laughter and hugs). The morning headaches I would wake up with would quickly subside with a couple of cups of coca tea. And the coca suckers and chewy coca bars kept me at a certain clearness of head, along with a numbness of mouth! Anyway, since the 1980’s the Federal Government, with the support of the UN, has had a War on Drugs against the poor little coca plant. They have used advertising and propaganda to put the little plant on the hit list. In this article from the New York Times in 1988, they were talking about trying to eradicate the plant within the next decade. Thank goodness for me, and all of the travelers suffering from soroche, that this didn’t happen! Cheers to this last installment of The Media Nerd’s Trip to Peru! I hope you enjoyed it! 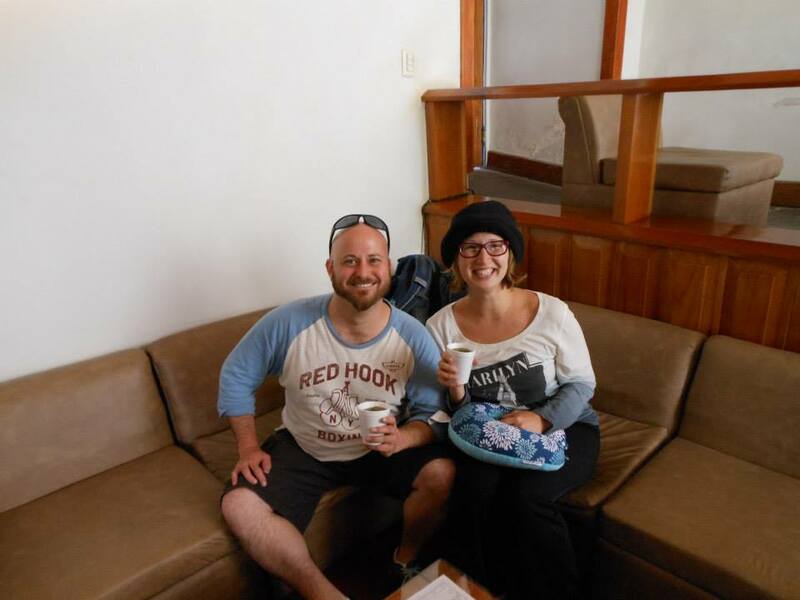 PS – Yes, this is when we had our first coca tea.